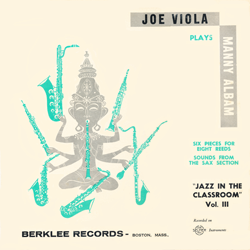 Joe Viola Plays Manny Albam- Jazz in the Classroom, Vol.III..INCREDIBLE!!!! Joe Viola changed my life. 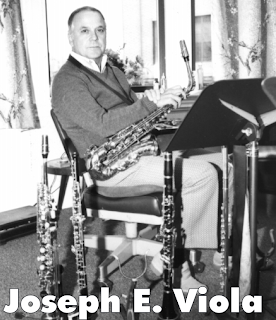 My entire concept of saxophone sound, technique and teaching was a result of my studies with him. 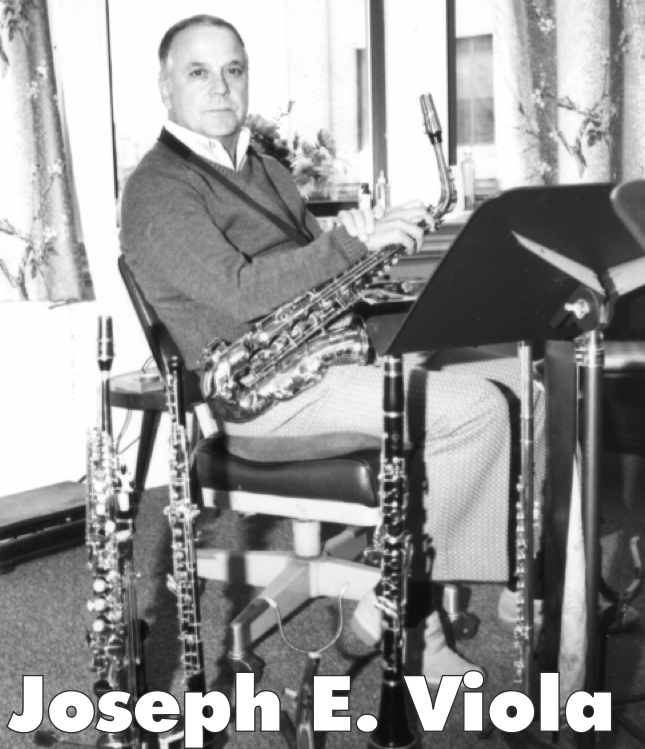 I owe so much to him and think about him almost every time I play or teach. His words of wisdom echo in my skull, but more than that...his saxophone sound rings in my head as something like my Platonic ideal of what a saxophone should sound like. Joe V had the intonation of an angel and his tone was pure, clear and just plain lovely. He would always say that whether you are playing Classical or Jazz, a good saxophone sound was a good saxophone sound. Some might argue this point, but when you heard him play it was quite clear that this statement was true. A saxophonist buddy of mine who went to the same high school as I did and then also studied with Joe at Berklee after I did just sent me a recording that I have been dying to hear for many, many years. It is Joe Viola's 'Jazz in the Classroom' album that was put out by Berklee in 1959. The album was done in the Berklee studios on two track reel to reel. Viola overdubbed all of the woodwind parts, playing all of the saxophones, flute, oboe, English horn, clarinet, and bass clarinet. The first side is in a Classical style and the second side is sax quartet with an added rhythm section of Ray Santisi, Gene Cherico and Alan Dawson. Manny Albam was a rising star as a composer and arranger and he composed everything on the album. The entire recording is truly mind blowing. The sax quartet tracks just sound impossibly good, because no section sounds that in tune, tight or phrases together so well. The great thing about this recording is that you can play along with it because all of the Jazz in the Classroom scores are in the online Berklee archives. I have included links to each score with each MP3 track. Playing along with Joe makes me feel like I am back in his studio with him again. Hearing this was incredibly inspiring, but it also made a mere mortal like myself feel like a lazy slug. 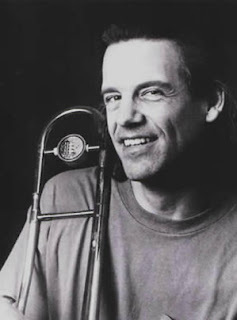 Hal Crook is one of the most gifted professors at Berklee College of Music. I played in his big band when I was at school there and his big band compositions are about that best that I have ever encountered. He is an incredible trombonist and a demanding educator and I still use his books with my private students. I just ran across an entire stash of his educational play-alongs while I was looking through the Berklee online archives today. There are 45 different play-along tracks with parts in concert, Eb, Bb and bass clef. He also includes a guide tone line for each composition, each tune being a contra fact of a Jazz standard. The guide tone lines notes are marked in red on the melody parts so you can see how the melody was created from the guide tone lines.You can tell that he wrote the tunes specifically for educational purposes, but they are all still very hip. There are nicely recorded audio play-along tracks for each tune at reasonable tempos. What a great find!